The usage of SaaS applications continues to grow rapidly whether they are enabled by IT or your end users. 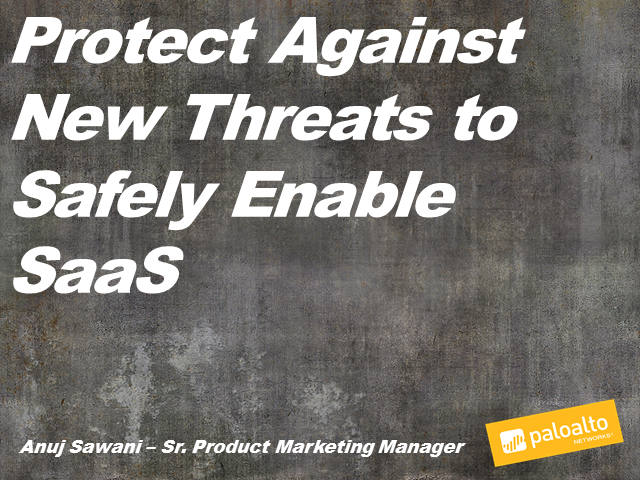 SaaS-based application usage has grown 46 percent over the past three years as shown in the latest Application Usage and Threat Report from Palo Alto Networks. The attackers are now adapting to leverage these applications as a point of insertion and a medium for malware to proliferate.